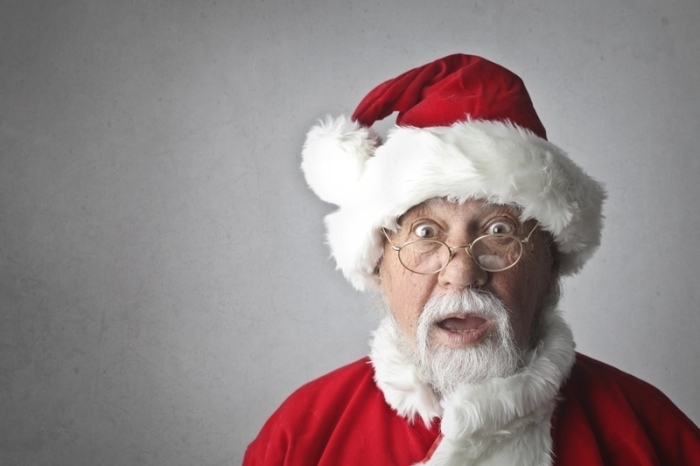 Santa Claus should be female or gender-neutral, some say. In a recent survey conducted by logo design company GraphicSprings, 800 people across the United States and U.K. were asked for suggestions about how to 'rebrand' Santa for the modern era. The respondents' replies were subsequently submitted to a group of 4000 people for a vote. "About 23 percent of respondents think Santa should have an iPhone, while 25 percent said Saint Nicholas should wear sneakers or trainers. Eighteen percent said he should be 'more hipster,' while 22 percent said he should ditch the sleigh and reindeer for a flying car," according to Fox News. Approximately one-fourth of respondents also said that Santa should give up the North Pole toy workshop and just acknowledge that, like so many people, he uses Amazon Prime to buy Christmas gifts. Others say he should ride a hoverboard. When asked what gender a rebranded Santa for modern society ought to be, nearly 30 percent indicated he should be female or gender-neutral. The majority preferred that Santa remain male. “I picture a woman giving presents,” Andy Souza, a resident of Highland Park, New Jersey said in comments to local outlet News 12 New Jersey. History paints a different picture of the actual man who has become known as Santa Claus. According to the St. Nicholas Center in Holland, Michigan — whose tagline reads "Discovering the Truth About Santa Claus" — Saint Nicholas was known for his generosity. "Nicholas used his whole inheritance to assist the needy, the sick, and the suffering. He dedicated his life to serving God and was made Bishop of Myra while still a young man. Bishop Nicholas became known throughout the land for his generosity to those in need, his love for children, and his concern for sailors and ships," the St. Nicholas Center website reads. "Several stories tell of Nicholas and the sea. When he was young, Nicholas sought the holy by making a pilgrimage to the Holy Land. There as he walked where Jesus walked, he sought to more deeply experience Jesus' life, passion, and resurrection. Returning by sea, a mighty storm threatened to wreck the ship. Nicholas calmly prayed. The terrified sailors were amazed when the wind and waves suddenly calmed, sparing them all. And so St. Nicholas is the patron of sailors and voyagers." St. Nicholas is also the patron saint of children.